A Comprehensive Guide On Humpback Whales: Grab The Knowledge! Humpbacks are cosmopolitan animals, mainly in grey and black and are found in all the oceans on the planet. In the past forty years, humpback species have made the excellent comeback in the North Pacific regions. Until 1966 these whales were immensely targeted for commercial whaling and by the harvest end there were just fourteen hundred humpbacks were left. Humpbacks are active animals and you will mostly see them playing, flipping, breaching in the water. The North Pacific whales migrate at a very long distance. This includes winter grounds for breeding in southern regions like southern Asia, Mexico and Hawaii to northern areas from California to Russia and Alaska where they are going to spend the entire summer. These creatures have been observed to show huge fidelity to their feeding regions. British Colombia is divided into two different regions. The southeast Alaska and the northern Colombian region is having estimated population of humpbacks around 3-5 thousand whales while in southern Washington there are 200-300 humpbacks left. There is a huge correlation between the feeding and breeding ground when it comes to the flourishes of this species. Color: - black-grey, varying amount of white color on undersides, pectoral fins, and throat. Humpback whales are distributed in all the oceans on the planet and migrate to different coastal regions for breeding and feeding. They live-in tropical wintering grounds, continental coasts, sub-polar habitats and open ocean temperatures as well. According to the United States, endangered species act 1973 humpback whales are endangered species. It is easy to identify a humpback whale for short distance. It can be as long as a school bus. They have excellent listening even in low frequencies. This ability proves itself in the dark ocean where there is less visibility. Humpback whales are communicative and the noisiest of all as well. They are singers and also have unique songs for the mating season to attract females. They have complex, varied, long, beautiful and eerie that includes recognizable sequences of grunts, squeaks and other voices. This whale song has largest frequent that is 20-9,000 Hertz. Only males sing this song, not females. This complex song is sung in warm waters to attract females just for the mating purpose. In the cold waters, they groan, scrape and make noises to locate huge masses of krill. Humpback whales visit the coastal waters in summers most frequently and the reason is that it is rick in prey like pilchard, capelin, herring, krill, and lace. There is one another name of humpback and that is rorqual whale. It means that having pleats from lower jaw till abdomen that allows there throat to hugely expand and capture food filled a huge amount of water while they are feeding. They also use baleen which acts as a sieve to trap food and filters the food out of salt water. 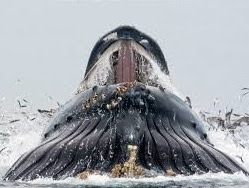 There are different feeding techniques which these whales use. These techniques are used to fill mouth such as bubble nets. They hunt individually and even in groups. A whale pod will blow bubbles while they start swimming in circles so that a bubble ring can be created on the surface. This ring can be thirty meters in diameters or even hundred feet. This ring confuses the fishes and they also get scared. The whales start swimming in small circles and tighten the ring. This is the time when they also produce sounds to confuse the fishes. Whales then rapidly swim in the upward direction through the bubble net and swallow thousands of fishes and other things in just one gulp. Humpback whales breed seasonally start in the tropical and subtropical regions in the winter times. 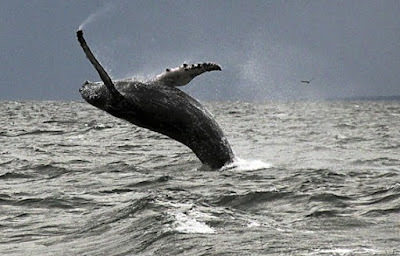 This is the time when you will hear males singing whale song which is quite loud and can be heard from many miles away. It is also known as the most complex song in the animal kingdom. The amazing thing is that song is specific to the areas and an also has evolved every year. This song is sung by male humpback whales to attract females, though this song is also used for competition and social ordering. The baby remains inside the mother for eleven months and calves are born in the month of December to April in the regions of North Pacific. Before a calf becomes independent he is going to stay with his mother for about a year. Females nurse their calves in shallow and warm water. This species is having complex courtship behavior which means males have to compete with each other to get a female. Females become pregnant after 2-3 years. Humpback whales do not have any long social bonding. Both the genders in the north Atlantic reaches maturity around five years. The lifespan can be 48 years more, though there is not any evidence regarding the humpback lifespan. Predators of humpback & how long they live? Mammal eaters are the primary threat to the humpback whales inside water that preys on young animals such as the killer whale. Many humpback whales can be seen with scars of unsuccessful attacks. There is an also evidence that shows humpback whales travel to breeding regions in areas like Hawaii to prevent the attacks of killer whales. Hawaiian regions are having fewer amounts of killer whales. California coast is the most dangerous for humpback whales because of the hotspot of killer whales. Humpback whales do not have teeth which mean it is not easy to tell the exact age. Life expectancy is 45-100 years. They can die from natural cause or attack of predators. Human’s are also commercially hunting humpback whales for centuries. These creatures are also harmed due to the entanglement of fishing gadgets, ship strikes, and pollution. Humpback whales are amazing sea creatures and this is the reason why people from all parts of the world travel to different regions where whale watching can be experienced. Make sure that you know a little about these wonderful sea creatures so that you can add more to your fun while experiencing their sight. Sea creatures are full of mystery and this is why their facts have always enticed the humans. Whales are colossal, lovely and it resting creatures and here are some of the most interesting facts about humpback whales that will surprise you. Humpback whales are smart creatures and also vocal. The population communicates with each other in their own dialect and has their own whale song to sing, which is the most complex one. Baby whales are not born knowing singing. They learn from other whales around. There is one more interesting thing, only the male whale's sing. To know the age of tree rings in the trunks are researched similarly rings formed on the ear wax tells the researchers about the age of a humpback whale. Earwax can also tell the scientists whether the whale was pregnant or about the chemicals it might have come across throughout its life. Scientists have learned much more about the humpback species with the aid of humpback ear wax. When you will come for whale watching make sure to remember this point. You might not find the creature furry, but there are tubercles around the mouth of the whale consisting of hair follicles which are light in shade of blonde. Scientists have found that whales become hairiest after they are born. The hair is easily visible on the adult. Next time if the whale comes close to you make sure to notice this fact and confirm about humpbacks are blondes or not. Whales sing whale's popular song and much more you might have heard about whale song. This is going to surprise you but humpback whales do not have vocal cords. According to science, they make voices by manipulating air through their bodies. While singing they head is in down position in the shallow water. Whales love krill and this is the reason why the huge part of their diet consists of just krill. Krill are small sea animals similar to shrimp. A huge whale certainly needs a colossal amount of these tiny creatures lets say almost more than a ton in a day to get the taste out of it. If you are nearby twenty miles of a humpback whale especially at the mating season, then you can also sing the male humpback singing easily. They sing for about twenty minutes in length. They also repeat the same song for many hours again and gain. 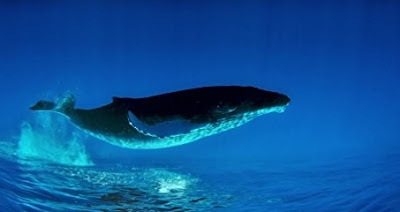 Whales are the last animals/mammals on the planet because they have huge flippers which are 1/3rd of their full length. They have 18 feet wide whopping tail. All this length makes whales really heavy. An adult whale can weigh up to 40 tons. Females are longer as compared to a male humpback whale. Females can measure up to 10 feet larger than males. When it comes to size females always win. Each of the humpback whales is having unique design under the belly. These markings are like fingerprints in humans. Scientists use these patterns and marks to recognize specific whales while they are studying these creatures. Humpback whales do not have teeth, but plates which are called as Baleen's. This is the reason why they swallow the huge amount of food directly to their stomachs. The baleen's act as the sieve to separate water from food. Humpback whales population is sizable and they don't like huge groups. Generally, you will see the traveling in pods (3-4 whales). Small groups are known as pods and mostly it is the mother and calves traveling or few friends. Every sea creature has to migrate to different places for feeding, breeding or any other reason. Migration is an integral part of sea creature's life. This comes true when we talk about humpback migration, in fact, their migration is the longest in the animal kingdom. Humpback is the only sea creature that migrates further. In an average season, they travel a distance of sixteen thousand miles. They migrate for 2 full years. Season's area also differentiated according to the mating and feeding rituals. Mating usually happens in winter and feeding in summers. 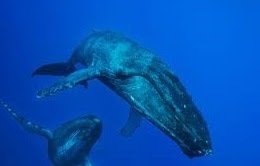 These are some of the most interesting facts that you have learned today about humpback whales, sea creatures which are different from its category in many ways. Humpback whales are the most popular ones when it comes to whale watching experiences. People travel miles to see them migrating or returning back with their newborn calves to their feeding grounds. Humpback Whales: Feeding, Breeding, Lifespan, Migration, Threats, And A Lot More! Get To Know About Humpback Whale And Its Migration! All You Need To Know About Humpback Whales: Giants Of Water!